I have a special treat for you today! One of my sponsors is sharing a delicious Fall recipe with us. Katie has lots of tasty recipes and fun party ideas on her blog. 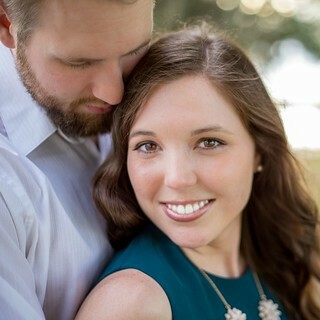 After you check out this post, be sure to swing by her blog or follow her on social media. Hi everyone! Katie from Twin Stripe lifestyle blog here. I’m thrilled to be sharing one of my favorite fall recipes with everyone. This salad is packed with healthy fall goodness – sweet potatoes, Brussels sprouts and cranberries mixed with the subtle flavor of thyme. It’s a perfect gluten free/vegetarian side dish for your Thanksgiving celebration or tasty over salad greens for a quick and easy lunch. Preheat oven to 425. While the oven is heating, wash and slice the Brussels sprouts and cube sweet potatoes into bite sized pieces. Place the Brussels sprouts and sweet potatoes on a baking sheet. Add olive oil, minced garlic, thyme and salt and pepper to taste. Place in the oven for 30 minutes, stirring halfway through. While the vegetables are roasting, prepare your quinoa. Rinse quinoa in a sieve until water runs clear and transfer to a medium pot. Add 2 cups water and salt and bring to a boil. Cover and reduce heat to medium low until water is absorbed and quinoa is soft. This typically takes 15 to 20 minutes. Fluff with a fork. To make your vinaigrette, add all ingredients to a small jar with a lid and shake it up. 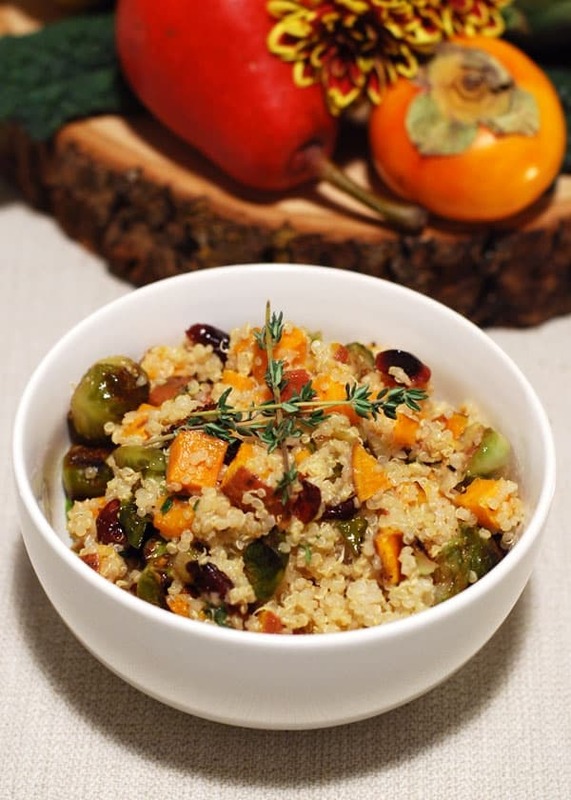 When your quinoa and roasted veggies are finished, add both into a mixing bowl. 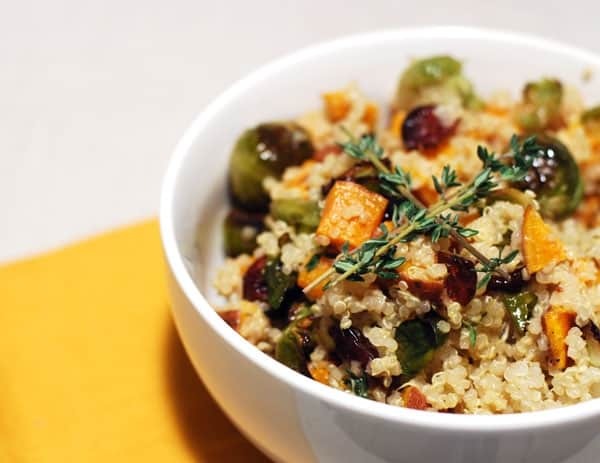 Add dried cherries and vinaigrette to the bowl and mix everything together and enjoy! This colorful salad is versatile. If you don’t like sweet potatoes, you can sub it out for something different like squash or a white potatoe. For an extra treat, add some bacon and feta to this salad for a totally different taste. I hope y’all enjoy this salad and the rest of your fall! Be sure to follow me on social media: Twitter, Facebook, Pinterest, Instagram and Bloglovin‘.